After the United States invested $14.5 billion in the Human Genome Project, the work has paid off with a $966 billion economic impact on the country and $59 billion in federal tax revenue. According to The News Journal, dozens of companies have used the information discovered in the project to develop new diagnostic tests and medicines based on gene variants connected to certain diseases. The Human Genome Project has triggered a “new era” in the life sciences, said Greg Lucier, CEO of Life Technologies Corp. In the wake of the Human Genome Project, the market for gene tests is anticipated to grow from $5 billion to $25 billion over the next ten years as an increasing number of doctors use a patient’s genetic makeup to devise treatments, according to a UnitedHealth Group Inc. report last year. “This report illustrates the vital role that key federal research funding plays in growing the U.S. economy, creating new industries and innovative technologies and producing the diagnostics and treatments that can save lives,” said president of United for Medical Research Carrie Wolinetz. Since the inception of the Human Genome Project, a number of colleges and universities have developed their own genome centers to continue with the work the project began. 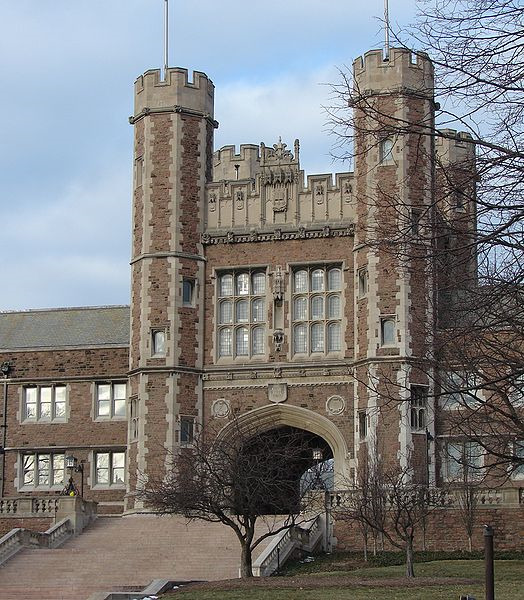 One such university is Washington University, whose Genome Institute is at the forefront of national research. According to the Washington University Genome Institute’s web page, the institute employs over 200 faculty and staff and participates in a great number of collaborative large-scale projects. One of these projects was the first-ever whole genome sequencing of a cancer. Lab suppliers interested in marketing life science solutions and increasing scientific product sales leads at Washington University life science marketing events may also be interested to know that the school has a richly funded life science market, according to recent NIH and NSF research funding statistics. The NIH awarded Washington University $381.5 million in research funding in 2012, while the NSF also gave Washington University $14.4 million in research funding in 2012. The NSF research funding was distributed among a number of projects in the life sciences, including neural systems clusters, evolutionary processes clusters, cellular dynamics and function, macrosystem biology, behavioral systems clusters, molecular biophysics, and bioinformatics. For full NIH and NSF statistics on the programs and projects receiving research funding at Washington University, please visit the NIH and NSF websites. If you are a lab supplier interested in getting the word out on your life science solutions and increasing scientific product sales at Washington University life science marketing events, Biotechnology Calendar, Inc. invites you to get to know the market at Washington University in St. Louis by attending our annual St. Louis BioResearch Product Faire™ Event. Last year, the St. Louis BioResearch Product Faire™ Event attracted 300 attendees, of which 114 were purchasing agents, professors and post docs, and 42 were lab managers. Those who attended came from 32 different research buildings and 44 departments across campus. Biotechnology Calendar, Inc. is a full-service science research marketing and events-planning company that has been organizing life science marketing events at top research universities across the country for 20 years. For more information on our St. Louis BioResearch Product Faire™ Event, or to view detailed funding statistics on Washington University, click on the button below. If you’d like to market your life science solutions and increase scientific product sales leads at life science marketing events closer to home, we encourage you to look into our 2013 calendar of events.